2017-01-22 ~ National Association of Postal Employees, Tirunelveli Division. 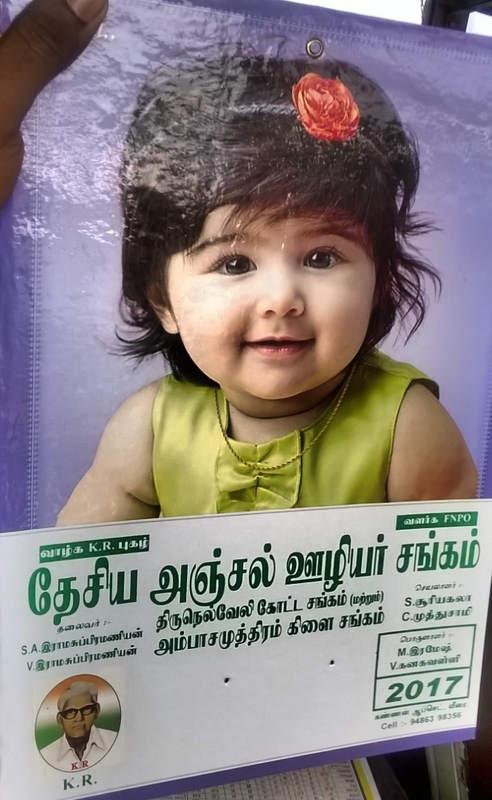 முன்னாள் P4 கிளைசெயலாளர் திரு.K.ஆறுமுகம் அவர்கள் சங்க கொடி ஏற்றிவைத்தார். திரு திரு இராமர் அவர்கள் வரவேற்புரையாற்றினார். 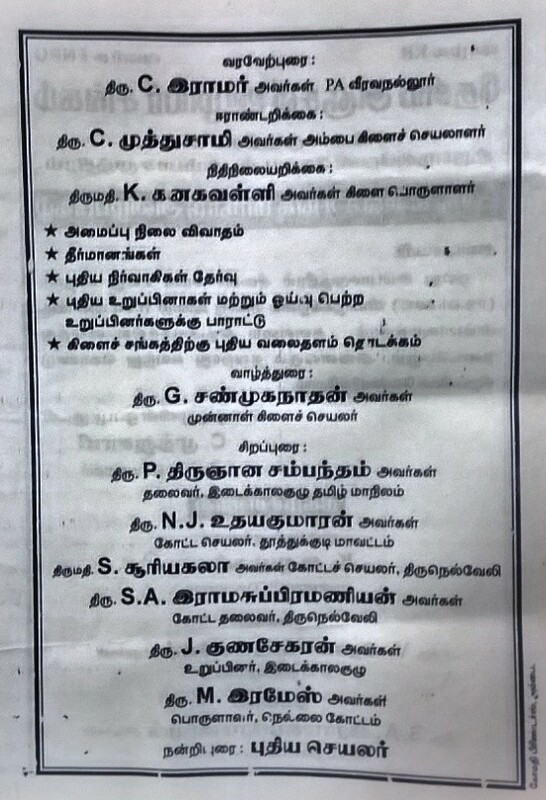 கிளை செயலாளர் திரு முத்துசாமி அவர்கள் ஈராண்டறிக்கை வாசித்தார். பொருளாளர் திருமதி கனகவள்ளி அவர்கள், நிதிநிலை அறிக்கை வாசித்தார். 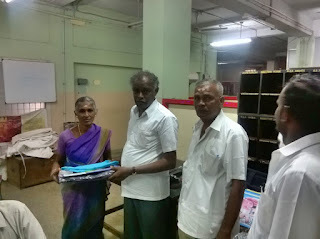 அதனை தொடர்ந்து அமைப்பு நிலை விவாதங்கள் நடைபெற்றன. 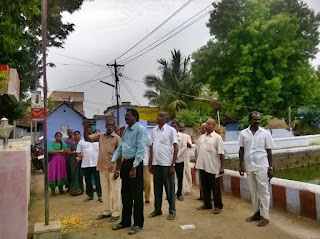 * புதிய நிர்வாகிகள் தேர்வு ஒருமனதாக நடைபெற்றது. 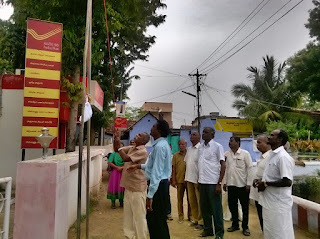 * புதிய மற்றும் ஒய்வு பெற்ற உறுப்பினர்களுக்கு பாராட்டு நடந்தன. 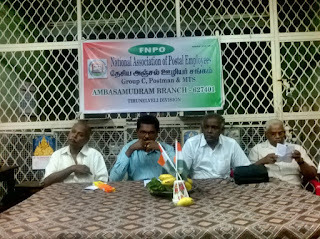 * கிளைசங்கத்திற்கு புதிய வலைத்தளம் www.fnpoambai.blogspot.in முன்னாள் கிளைசெயலாளர் திரு.G.சண்முகநாதன் அவர்கள் தொடக்கி வைத்தார். 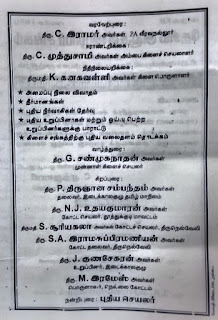 திரு.N.J.உதய குமாரன், அவர்கள் சிறப்புரையாற்றினார். திரு முத்துசாமி அவர்கள் நன்றியுரையாற்ற கூட்டம் இனிதே நிறைவுற்றது. கூட்ட முடிவில் உறுப்பினர்களுக்கு ஒரு அழகிய Bag ம் தினசரி நாட்காட்டியும் வழங்கப்பட்டன. Reference is invited to Circular No.20/2015 dated 02.12.2015 whereby the rates of deduction of income-tax from the payment of income under the head "Salaries" under Section 192 of the Income-tax Act, 1961 (hereinafter ‘the Act’), during the financial year 2015-16, were intimated. The present Circular contains the rates of deduction of income-tax from the payment of income chargeable under the head "Salaries" during the financial year 2016-17 and explains certain related provisions of the Act and Income-tax Rules, 1962 (hereinafter the Rules). The relevant Acts, Rules, Forms and Notifications are available at the website of the Income Tax Department- www.incometaxindia.gov.in. C-Off அளிக்கபட்டிருப்பது சரியானதா? இல்லை Incentive வழங்கபட வேண்டுமா ? என்ற விவாதத்துக்கு மத்தியில் - இயக்குனரத்தின் உத்திரவுக்கு காத்திராமல் நடவடிக்கை எடுத்த கரூர் கோட்ட கண்காணிப்பாளர் அவர்களுக்கு பாராட்டுக்கள் உரித்தாகட்டும். भारतीय डाक विभाग / DEPARTMENT OF POSTS, INDIA. 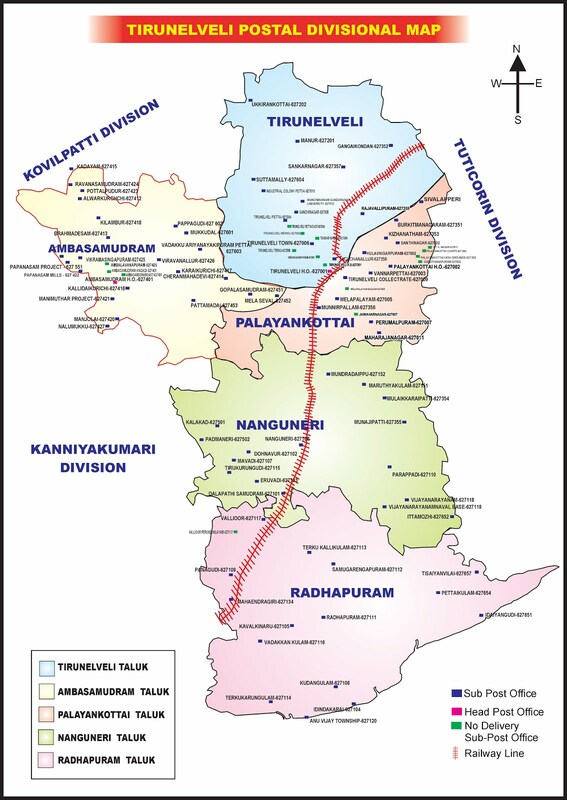 करूर मंडल/Karur Division, करूर / Karur 639001. 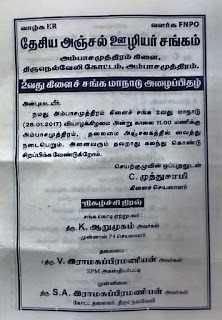 Karur HO/639 001/Kulittalai HO 639104. 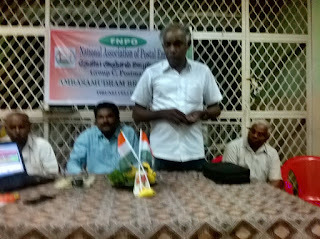 All IP/ASPs in Karur division. Sub: Grant of Compensatory Off in lieu of working on 13.11.2016 and 14.11.2016- reg. It is hereby intimated that those who worked on 13.11.2016(Sunday) and 14.11.2016(Closed holiday) in connection with WOS work are eligible for compensatory off. Head of the office (PM/SPMs) are competent to sanction compensatory off to the officials working under them after checking relevant records. Records should be properly maintained for grant of C.off at each office. PM/SPMs should only apply to this office for availing compensatory off. This may be brought to the notice of all working in your office. करूर मंडल/ Karur Division, करूर/Karur 639001. Sub: Meeting of the Committee constituted to suggest measures for streamlining implementation of the NPS for the Central Govt. Employees — Req. Kindly refer to your aforementioned letter. At the outset, we request you to kindly favour us with a copy of the Government Notification setting up the Committee to make suggestions to streamline the National Pension system for Central Government employees. This is needed for us to understand the scope and ambit of the functioning of the Committee. The 7th CPC in their report in paras 10.3.11 to 10.3.25 has enumerated the plethora of complaints received by it over the NPS and has finally recommended to the Government to set up a Committee to look into those issues and address. However, we are constrained to believe from the reading of para 3 of the letter cited that the Committee is likely to have only a perfunctory consultation with the stake holders on an important issue like this. In any case, we give hereunder our views in the matter with the fervent hope that the Committee will consider it within the time constraints. 1. 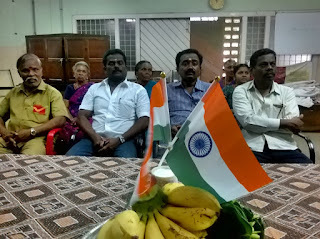 We are of the firm view that the Central Government employees as a whole must be fully excluded from the ambit of the defined contributory pension scheme for otherwise it would create two classes amongst them, one making subscription; and another making no subscription but receiving a better pension and other retirement benefits. 2. There is no justification for the Government to deduct pension contribution from the Central Government employees, even as per the recommendation of the 7th CPC they are provided with far lesser Minimum wage that what it should have been as per the norms of Dr. Aykroyd formula, approved by the 15th ILC and subsequent judgement of the Supreme Court. “for employees who had entered with effect from 1.1.2004 are not likely to be worse off vis a vis the current pension system in force as the replacement rate would match to the present one. Thus, NPS is a win-win situation for employees and the Government”. Without deviating even an iota from our firm position enumerated in No. 1 above, the least the Government must do to honour the assurance given earlier is to guarantee that all Central Govt. 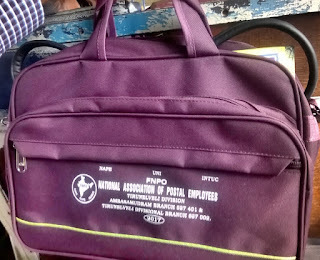 employees who are recruited with effect from 1.1.2004 and have thus become mandatory subscribers to the NPS receive all benefits of pension, family pension and other retirement benefits as is provided for under the CCS(Pension) Rules applicable to the Central Government employees who are recruited prior to 1.1.2004. To illustrate the point that the Central Government employees, who are recruited with effect from 1.1.2004 are provided with a paltry in the form of pension in total disregard to the assurance held out by the Government on 14.12.2007 we enclose herewith the details of pension entitlement computed in the case of a person, who was recruited after 1.1.2004 and retired after 12 years of service in one of the Ordnance factories under the Ministry of Defence. This person is being paid a paltry amount of Rs 9601= p.m. as pension from NPS, whereas after the implementation of the 7 CPC recommendations the minimum pension is Rs 9000/- + DA p.m. with effect from 01-01-2016. 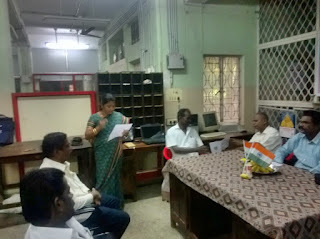 In fine, we feel that it would be better if the Committee could convene a meeting as is convenient to all its members so that a full-fledged discussion could be held on this vital issue which is of utmost importance to a large segment of employees recruited after 01-01-2004 whose number is increasing day by day. We solicit your kind reference to the discussion the Staff Side delegation had with you and your esteemed colleagues in the Cabinet – Hon’ble Finance Minister, Railway Ministers – on 3oth June 206 and subsequently with your good self on 6th July 2016. In the light of the assurance held out for reconsideration of the minimum wage and multiplication factor through the setting up of a high level committee within a time frame of four months, the National JCA had deferred the strike action which was to commence from 11.07.2016. We had been patiently waiting for a meaningful discussion in the matter ever since then. Not only there had been any worthwhile or meaningful discussions thereafter but no settlement was also brought about till today though more than six months have been elapsed.The National JCA met yesterday (17-01-2017) and almost all members expressed extreme disappointment over the turn of events. However, they felt that a meeting with your good self must be sought to sort out the issue amicably. We shall therefore be grateful if you can indicate a date and time convenient to you, so that the undersigned along with Dr. M Raghaviah, the Leader of Staff Side, JCM could call on you with a view to explore reaching an agreement. Incidentally, we feel that it must be our responsibility to convey to you that the Central Govt Employees throughout the country are extremely critical of the fact that the Government had not found it possible to accept even a single issue taken up the Staff Side, JCM after the 7th CPC submitted its recommendations to the Government. This apart, the CG Pensioners numbering presently more than the working employees are aggrieved of the fact that the one and only recommendation of the 7th CPC which was in their favour i.e. option No.1 have been recommended to be rejected by the Pension Department to the Government. Expecting a communication for an early meeting and thanking you. நமது அம்பாசமுத்திரம் கிளை சங்க மாநாடு 26.01.2014 வியாழக்கிழமை அன்று காலை 1100 மணிக்கு அம்பாசமுத்திரம் தலைமை அஞ்சலகத்தில் வைத்து நடைபெறும். 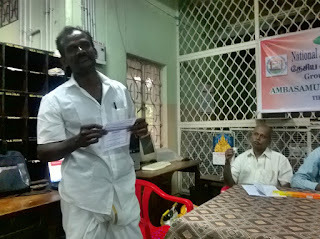 அனைவரும் தவறாது கலந்து கொண்டு சிறப்பிக்க வேண்டுகிறோம். Red Salute to Subhas Chandra Bose on his 120th birth anniversary. The system of incentive payment for GDSs was introduced at a time when the job was more in the nature of an agency function rather than a long term service. Small amounts were paid to the Branch Post Masters as incentive, in addition to the monthly allowances in return for the deposits collected in small savings schemes. This system of incentive/commission on the basis of amount collected is still followed in the case of small saving agents who collect deposits under RD, NSC, and KVP etc. along with the BPMs. (a) The working hours of GD Sevaks are restricted to maximum 5 hrs during which routine jobs are performed. (b) The Government implemented new schemes and services In rural areas through the network of GDS Post Offices utilizing GDS manpower. (c) There are limitations in the present workload calculation system to add norms for such new items of work. (d) There is a need to compensate the GDS for these special tasks. 12.4. However, in the Department the incentives are paid only to individual. There is no concept of incentive payment for group or organization. The Committee noted that the amount of incentive paid is low and needs to be improved. The existing rates of incentives offered to GDSs by the Department for various activities are given in Table12.1. 12.5. In addition to the above, from time to time, some new tasks/business activities are being got done in some Circles through GDS, as per local initiatives. In such cases the Circles themselves are making arrangements for compensating the GDS for such works. A meeting was held today with the Cabinet Secretary, Government of India, wherein myself as well as Com M.Raghavaiah were present. 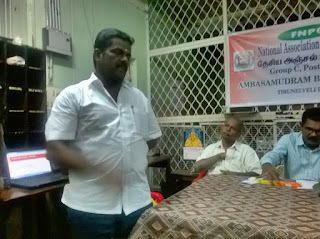 We explained him about various Issues of the Central Government Employees pending at the government level The main issues were NPS, Minimum Wage and Fitment Formula, Allowances, Pension and Very Good Benchmark, etc. etc. The Cabinet Secretary informed us that, Pension issues have already been referred to the Cabinet, and the report of the Committee on Allowances is likely to be submitted in the next month. So far as issue of NPS is concerned, he has already directed the committee to hold a meeting with the Staff Side, which has already been fixed for 20th January 2017, The issue of Minimum Wage and Fitment Formula is also being vigorously pursued by the government. servant has been acquitted but appeal is on templated/pending-clarification regarding. ClickHere. To view the order.